Found unexpectedly when out taking pictures. Thats what i call creative! Lol, computer culture. Gotta love it. That is awesome! Very creative. That is pretty great where was this taken? This blog has quite the following! 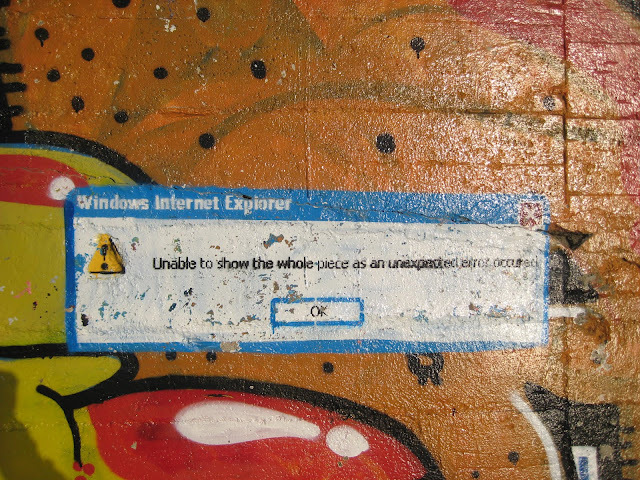 thats some new-age graffiti.. nice! Exactly why I switched to Firefox and Chrome, lol. Nice photo though, how often do you go out shooting?